They marched under the heat with 40-pound rucksacks on their backs. They fired weapons out of the windows of military vehicles, defending their units in deadly battles. And they did things that their male counterparts could never do--gather intelligence on the Taliban from the women of Afghanistan. As females they could circumvent Muslim traditions and cultivate relationships with Afghan women who were bound by tradition not to speak with American military men. And their work in local villages helped empower Afghan women, providing them with the education and financial tools necessary to rebuild their nation--and the courage to push back against the insurgency that wanted to destroy it. For the women warriors of the military's Female Engagement Teams (FET) it was dangerous, courageous, and sometimes heartbreaking work. 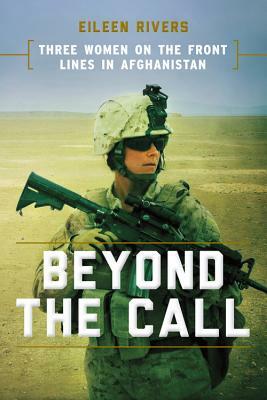 "As an intimate primer on the FET program, Rivers' account, which includes a historical overview of American women in combat, is of clear interest." "Author Eileen Rivers, besides being an Army veteran herself, is now a USA Today editor and has been reporting on veteran affairs for 15 years, so it is evident that she knows whereof she speaks."